The head of the TTC has a bold proposal in the works to improve traffic in the downtown core by taking vehicles off King Street during the morning rush hour. The idea is to remove vehicles off of King, and possibly Queen Street, for two hours each morning between 7 and 9 a.m.
"We would have to evaluate the impact upon traffic. Cars have a place on the road as well. That's why we're only talking about a narrow window — morning peak only," Byford said. "I don't think I'm doing my job properly if I'm not looking at every possible angle." 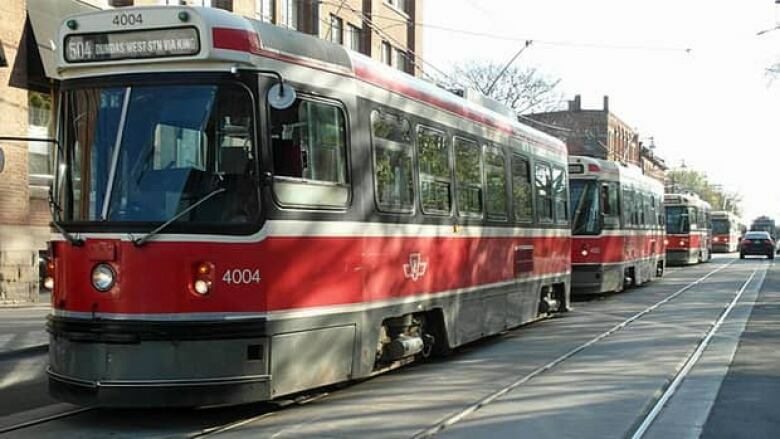 Better supervision on routes and bigger streetcars are all options the TTC is considering for improving the frequent bunching of streetcars along the busy route. "What I do know is the streetcar service isn't punctual enough at the moment — it's not good enough, I'm not happy about that — I want to improve things for my customers," said Byford, noting that the King streetcar route currently services 56,700 riders each day. Byford said a traffic assessment would need to be done first to understand, among other things, the potential consequences for local businesses. "We would need to do a traffic assessment with the city to make sure the impact of cars having to move onto another street was understood," said Byford. "We've also need to understand the impact on businesses." The same proposal to limit traffic downtown was rejected twice before in 2001 and 2007. "My understanding is it was killed dead because the idea was to have a much longer duration of traffic-free, transit-only, streets," said Byford, noting the concern at the time from businesses and the theatre district. Coun. Denzil Minnan-Wong, the chair of the public works and infrastructure committee, thought the idea would have to be considered in more detail. "There are certainly a number of positive aspects to it, but you've got to look at the car displacement, you've got to look at how the businesses might be affected and how all the stakeholders might be affected," he said Thursday. But Byford has already spoken with downtown councillors about the sure-to-be controversial changes, which he says isn't a "war on the car," but rather a more "efficient" and "reliable" transit service. "You'd be able to get more people moved, more easily, without the nonsense," he said. TTC Chair Karen Stintz also wants to make King Street car-free during the 2015 Pan American Games. Stintz said the "time is now" for the project and its success would depend on the support of downtown councillors and local businesses. "We would pilot it in a contained way to see whether or not there really it is an improvement, and what the impacts are to other users of the road," Stintz said. Improving transit ahead of the 2015 games is a priority for the TTC, with the multi-sport event expected to draw more than 10,000 athletes, coaches and officials to the city. 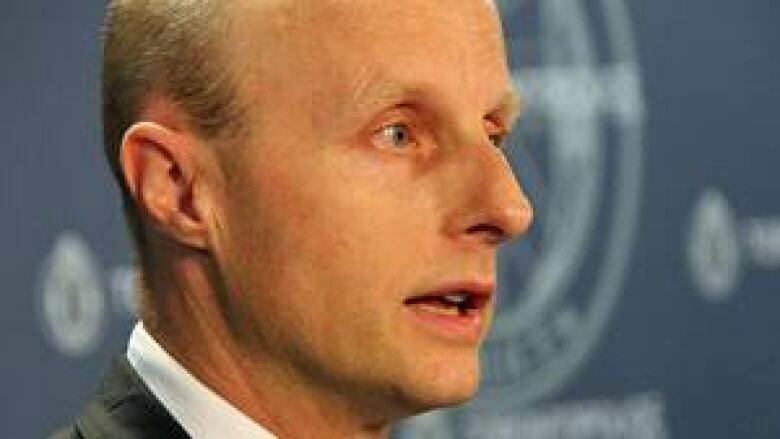 "I'm certainly very clear that we have to make the transit a jewel in the Pan Am Games offering," Byford said.